So these might not be Google’s robots – big, bad, and awesome, but they’re part of the robot revolution nonetheless. The robots get cooler as the post progresses, however. 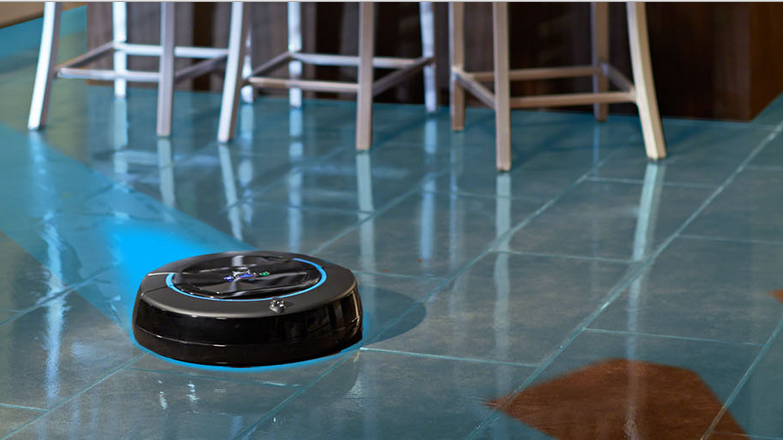 I remember a colleague at a Microsoft DigiGirlz event where Lindsay Lindstrom taught how Roombas worked (they’re drawn just like the characters of Blizzard or any other video game, and just as complex in their nature); it was amazing. 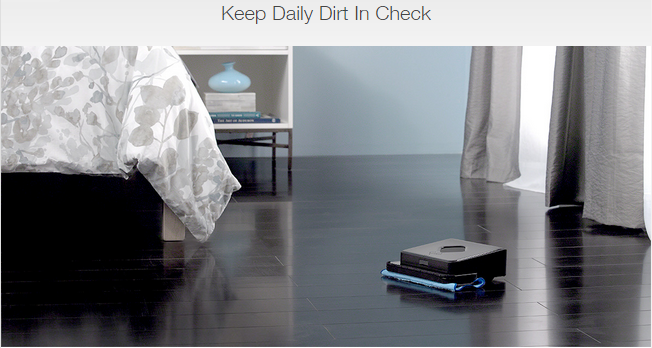 Since we started with iRobot’s Roomba, in the “For the Home” category, I’ll first continue on from there. This might seem boring compared with Google’s awesome robots, but these are amazing themselves just for different use cases. 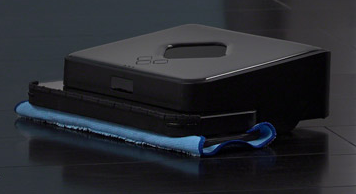 Braava has 2 modes: dry mopping using dry cleaning cloths to pick up dust, dirt, and hair, and damp mop mode that damp cleans with cloths to lift surface dirt and grime off floors. 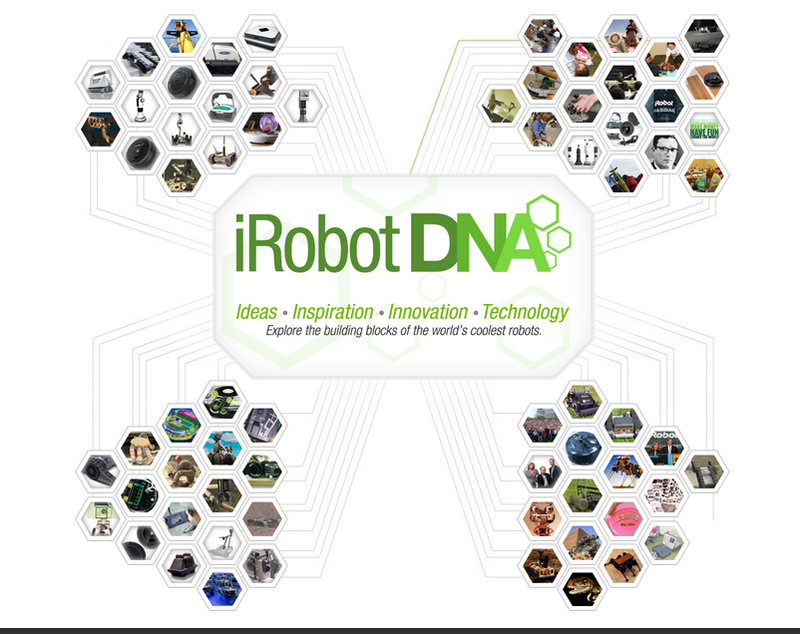 Let’s now look at the second category of iRobots: For Defense & Security. 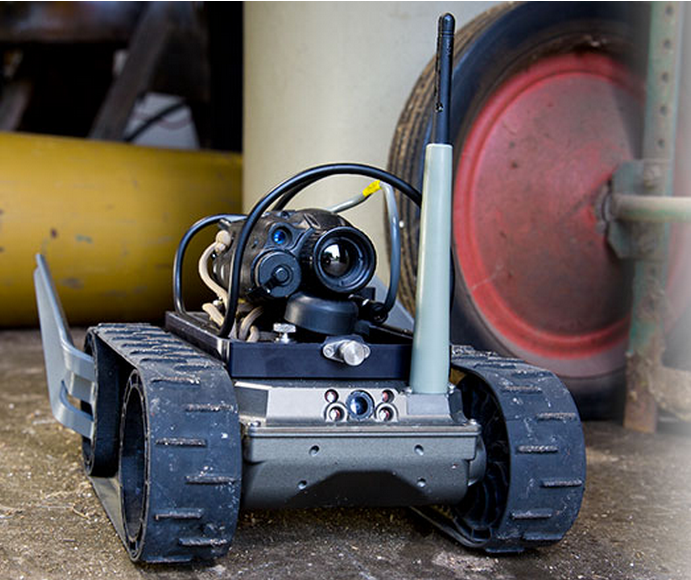 For each of the 4 robots I’ll mention here, they each have different areas of operations (albeit the same areas for all 4 Defense & Security Robots: “Public Safety”, “Military”, and “Hazmat”). 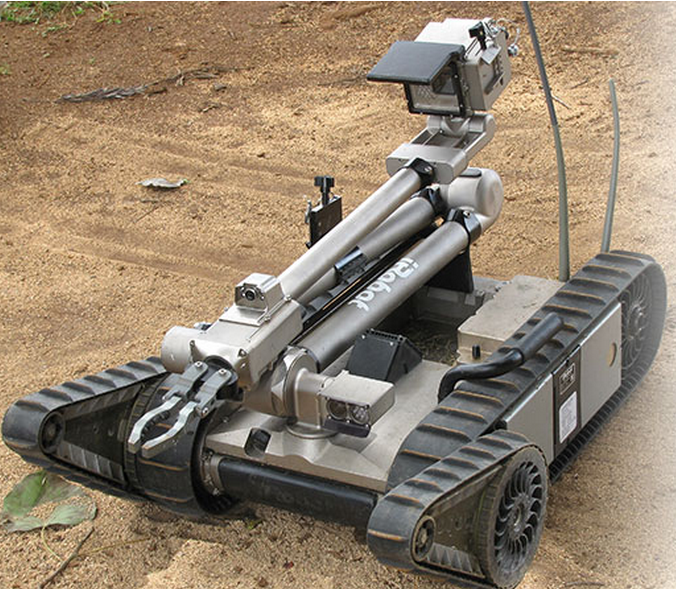 3. iRobot’s 510 PackBot is modular, adaptable, expandable, and can perform bomb disposal, surveillance and reconnaissance, CBRN detection and HazMat handling. The robot is configured based on mission needs. 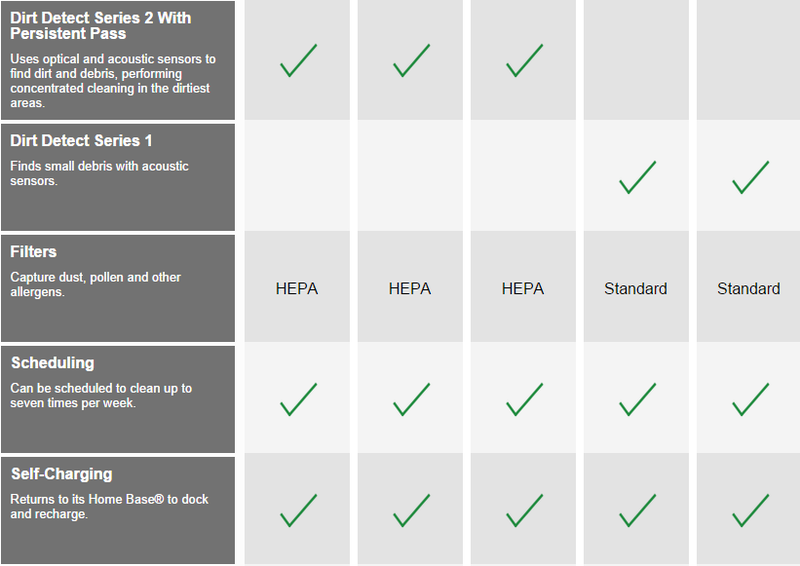 It climbs stairs, relay real-time video, audio, & sensor data while the operator is at a safe distance. 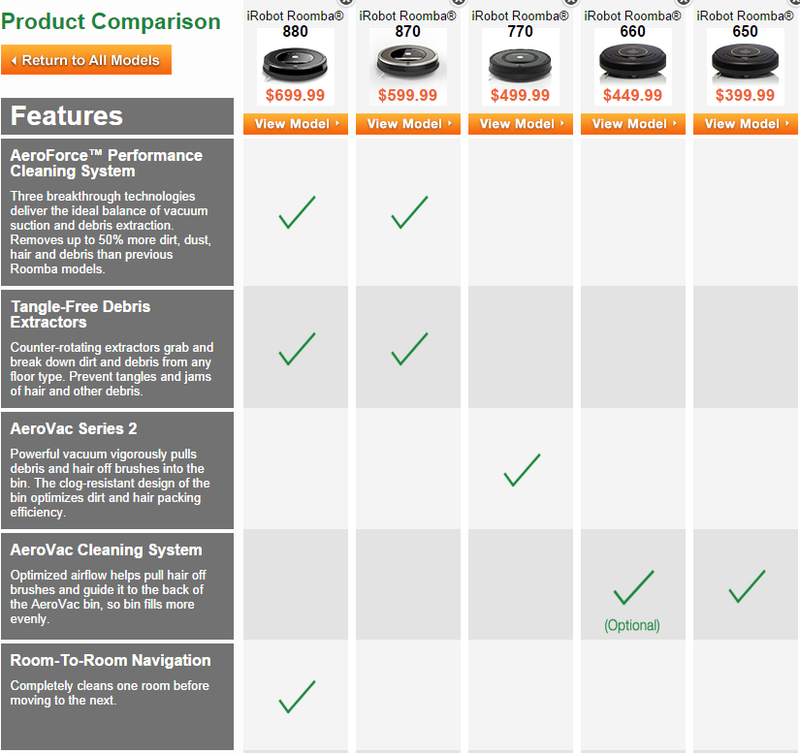 This robot has the same specs as the robots featured before it. 4. 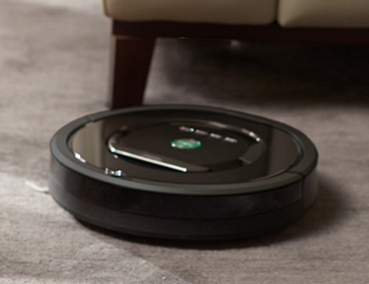 The iRobot 710 Kobra can reach as high as 11 feet, climb stairs, fit through doorways or down aisle-ways & deploy from the back of a standard SUV. It reaches speeds of 8mph while carrying a 150-lb payload. It’s great for stable mobility on rough terrain in all types of weather. 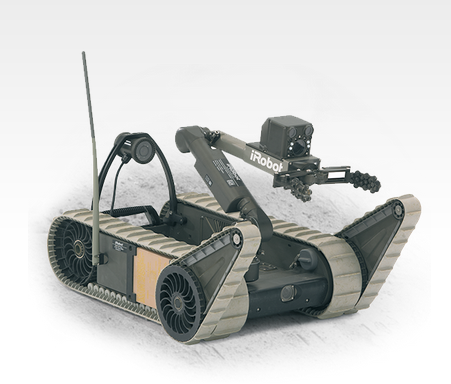 For Commercial Applications, iRobot leverages state-of-the-art mobile robotics platforms, bringing solutions to new markets like medicine, retail, security, industrial businesses and more. 6. 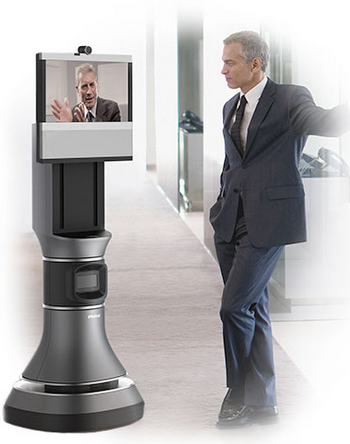 The RP-VITA® Remote Presence Robot is a telemedicine solution. It’s the first remote presence solution that combines autonomous navigation and mobility from iRobot with telemedicine technology from InTouch Health. It was designed to transform the delivery of acute care by expanding the use of remote consults and increasing workflow efficiency. 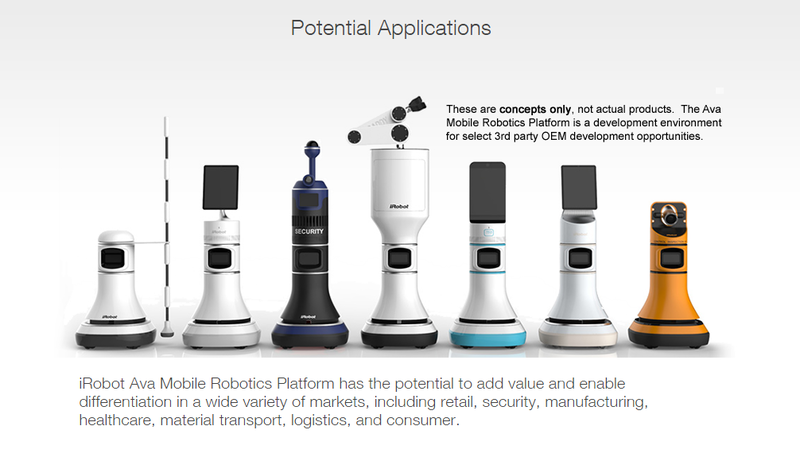 7. iRobot Ava® Mobile Robotics Platform is a breakthrough solution suitable for 3rd party development and a wide range of applications. It’s capable of autonomous navigation in a complex world. Thank you for your nice comment and suggestion. I’ve googled juuri13viraleffect but it doesn’t say how to apply it. Do you know how?